Can you imagine working with images and being able to predict how it will look in print? That it will look about the same on different paper types as on an inkjet print? Fantasy? No, not really, you can do a lot to come close. Not that you won’t need my colleagues or me anymore. But to communicate about colour has become a lot easier. We can have all our equipment communicate with one another through profiles. These profiles describe how our camera registers colour, how our computer handles colour, and how the plotter or the press will print colours on different paper types. 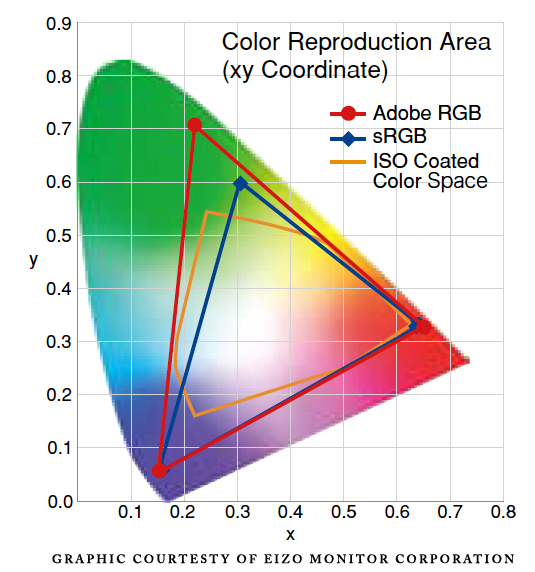 And we can make calibrated screens and calibrated printers function as colour proofing devises. Most of what is needed is already there in these systems. We ‘only’ have to make sure that we calibrate our screens properly and follow the right steps. Printers worldwide have adopted this standard in their production environment too. You can ask them if they are ISO 12647 certified (you should ask this, actually). If they are, you know that they control their output completely within the limits of this standard and they can reproduce your file predictably. As long as you provide a PDF made with the right profiles and settings, you should get what you expect. Printers spend a lot of time and devotion to implement this standard and keep it running, but how that helps us!